9th April 2019, Mumbai: Jaguar Land Rover India today announced the start of local manufacturing of Range Rover Velar. The Range Rover Velar will be available in 2.0 l Petrol (184 kW) and 2.0 l Diesel (132 kW) powertrains and priced at Rs 72.47 lakh (ex-showroom India). 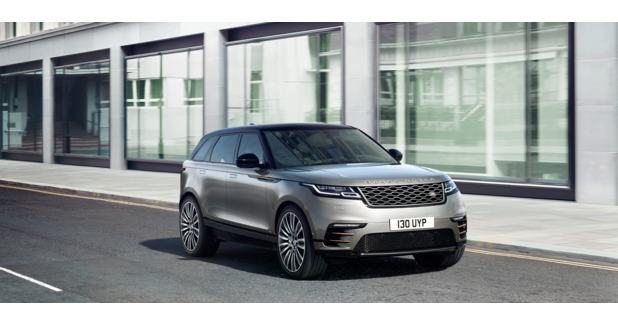 Available in the R-Dynamic S derivative, the locally manufactured Range Rover Velar will be loaded with progressive design, technology and luxury features. Some of these features include touch pro duo, activity key, Wi-fi and pro services, meridian sound system (380W), four-zone climate control, cabin air ionisation, premium leather interiors, 50.8 cm (20) wheels with full size spare wheel, R-Dynamic exterior pack, adaptive dynamics, premium LED headlights with signature LED DRL, park assist etc.